Mohamed Mursi was simultaneously Egypt’s first civilian, democratically elected and Islamist president, in addition to being arguably one of the country’s most inept heads of state. He came to power following an unprecedented popular uprising, inheriting a sharply divided society, stalled economy and fractured political arena. On his ouster one year later, the situation is far worse. The situation in Egypt today broadly echoes England’s infamous Wars of the Roses, a series of dynastic struggles between two rival branches of the House of Plantagenet during which the English crown changed hands six times over a period of thirty years. Between 1455 and 1485, practically all of England found itself embroiled in the sporadic outbreaks of violence and political intrigue between the House of Lancaster and the House of York. Each camp was beset by its own internal political divisions and maneuvering, often proving more deadly than the broader conflict. This political intrigue saw the three sons of the House of York jockey with one another for position and power, with King Edward IV ordering the death of one brother for treason, while the surviving brother, Richard III, is the hunchback king “determined to prove a villain/And hate the idle pleasures of these days” of Shakespearian lore. The House of Lancaster was no better. 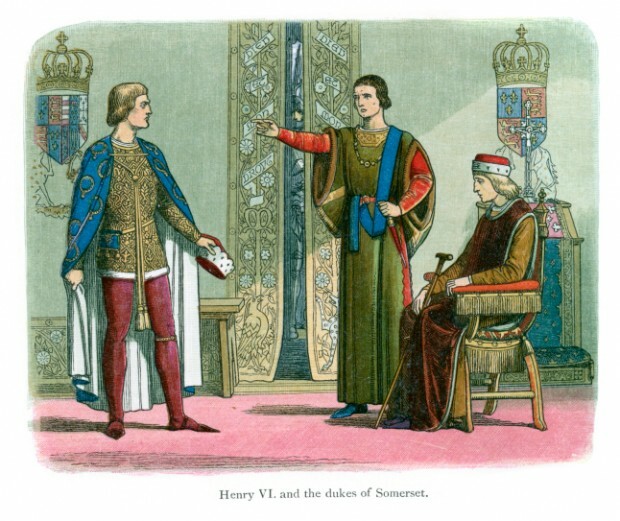 It was led by Henry VI, who suffered periodic bouts of madness. Leading from the field before retreating into almost ecstatic religious contemplation, Henry VI was not the most dependable leader, to say the least. He was eventually captured by Edward IV’s forces and purportedly executed on his orders. This discord is being repeated today in Egypt, with the anti-Brotherhood camp initially putting on a show of force to help bring about Mursi’s ouster. Following Gen. Abdel-Fattah El-Sisi’s announcement of Mursi’s removal from power, Egypt’s secular, political, and youth forces lined up behind the military to back their “roadmap.” Egyptians listened, rapt, as Sisi’s announcement was followed by speeches from secular leader Mohamed El-Baradei, Al-Azhar grand sheikh Ahmed Al-Tayyeb, Coptic Pope Tawadros II, Tamarod (Rebellion) youth leader Mahmoud Badr, and even the Salafist Nour party secretary-general Jalal Mara. However, following interim president Adly Mansour’s dissolution of the Shura Council and attempts to appoint Baradei as prime minister, the Nour party has withdrawn from the anti-Brotherhood alliance. Egypt’s other main Salafist group, Al-Gama’a Al-Islamiyya (along with its Building and Development Party), has staunchly stood with the Brotherhood since the beginning. As for Al-Azhar, Grand Sheikh Al-Tayyeb has lately come out to warn that the country is heading toward civil war, announcing that he intends to go into seclusion until “everyone shoulders his responsibility to stop the bloodshed.” Is it not convenient that his own responsibility in ending the violence ends at his front door? As for Mursi, perhaps he most resembles Henry VI. The deposed Egyptian president’s actions during his first and final year in office often defied logic, including his harmful spat with the judiciary, his controversial constitutional declaration—which he later withdrew under public pressure—and his erratic speeches and public appearances. In the run-up to the expected nationwide protests against his rule, rather than attempting to calm tensions, Mursi appointed a member of the ultra-conservative Al-Gama’a Al-Islamiyya as governor of Luxor. Al-Gama’a was the group responsible for an infamous massacre of tourists in Luxor in 1997, part of a broader campaign by the then terrorist-designated organization to cripple Egypt’s tourism sector. To say that Luxor did not want to see the return of Al-Gama’a would be an understatement. In addition to this, the deposed president gave a brazenly defiant speech on July 26, promising media clampdowns and no mercy to “illegitimate” protesters. Sisi, who was sitting in that audience, will certainly not have been impressed by the soon-to-be-former Egyptian president’s rhetoric. The Wars of the Roses, known as the Cousins’ War at the time because it was being fought between rival branches of the same house, ended when the scion of the House of Lancaster, Henry Tudor, married the daughter of Yorkist King Edward IV, forming the House of Tudor. This reunification of the House of Plantagenet saw a rare period of relative stability and prosperity in England, culminating ultimately in the so-called “golden” Elizabethan era of high culture. I do not see such a future in the offing for Egypt however; the country is too sharply divided, and is likely to remain so in the near, and far, future.